'I love my work as a medium. I love to be connected with spirit, doing spirit work with people who are grieving over losing their loved ones, or hurting from past experiences. I am truly blessed. However, there is something I want people to realise: you can do this too. Every one... read full description below. 'I love my work as a medium. I love to be connected with spirit, doing spirit work with people who are grieving over losing their loved ones, or hurting from past experiences. I am truly blessed. However, there is something I want people to realise: you can do this too. Every one of us can find the peacefulness and pure love of spirit in our own life. 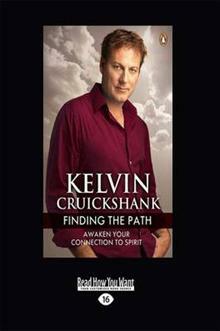 Join Kelvin Cruickshank, celebrity psychic medium and author of Bestsellers Walking in Light and Bridging the Gap, as he shows you how to become closer to the spirit. Along the way, Kelvin will also share some incredible stories of spirit healing lives with loves, tears and laughter.